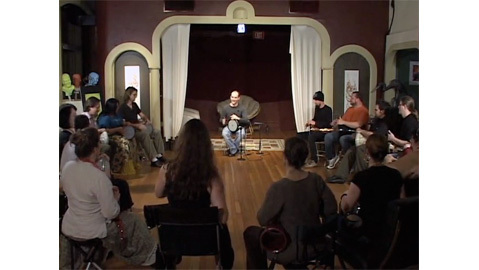 From my DVD "Begintermediate Doumbek Workshop." This is the bonus footage video. If you're looking for something good for your brain, try this: one maqsum and one karsilama. Filmed in Rhode Island at The Spot on Thayer. Clicking the button below will add this item to your library and remove 0 credit(s) from your account. You already have this item in your library. You need to be logged in to add this to your library. The item you are trying to add was not found. You need more credits to add this item.